5. Convalidation of Marriages- Bringing marriages into the Sacrament of the Church. "A ministry of compassion and reconciliation." 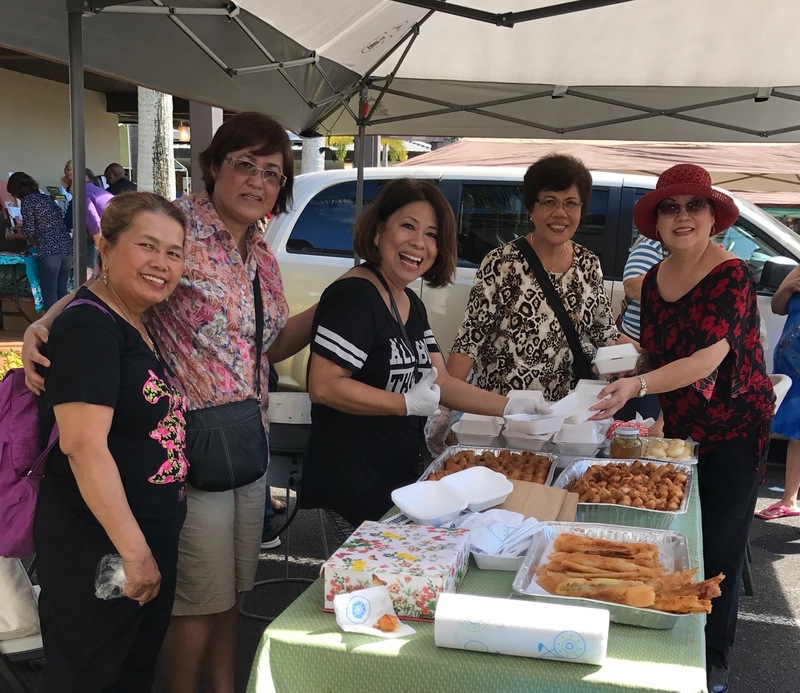 Catholics Returning Home (CRH) is a parish-based program designed to reach out and invite non-practicing/ inactive Catholics to return "Home to the Catholic Church" and resume active practice of their faith. The program has three major outreaches per year: before Christmas, during Lent, and in the late summer. The same six-week series is repeated three times per year. 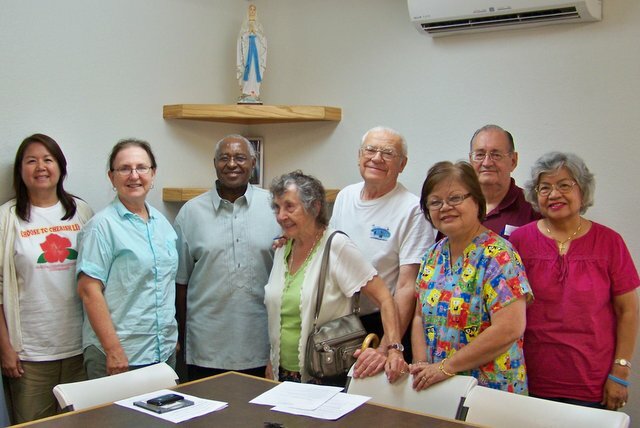 Catholics Returning Home sessions provide updated information on the basics of Catholicism in a non-threatening, RCIA-like, support-group format. The sessions are informational and formational. For more information, please contact the parish office. The club meets on the third Thursday of each month from 7-9 p.m. Meetings are held in the second floor Parish Center classroom. We promote the reading and discussion of books that effect our faith and life. We participate in the annual celebration of "Misa de Gallo", celebrating Mass at 5:00 am beginning the morning of Dec. 16 and ending Dec. 24. We celebrate the Feasts of Santo Nino and San Lorenzo Ruiz with a 9-day novena followed by a celebration of Mass. The group also participates in serving a dinner meal at the Institute for Human Services. "Give praise with tambourines and dance" (Psalm 150:4a). The vision of this ministry is to share prayer, praise and worship through liturgical dance. The dance currently being taught is hula. Classes are taught by Leimomi Cleghorn. Classes are held Saturday mornings twice a month. There is a class for 6 to 10-year-old girls and another class for girls 11 and up. Helps each individual increase faith in order to grow in holiness, deepen spiritual life, and persevere in faith through Scripture study and prayers. Meetings are on Saturdays from 9-10:30 am. It is our mission to help children and youth find God in all things. Confirmed young adults, and adults are invited to join the Religious Education ministry. We teach the core of the Catechism of the Catholic Church, about God, and the world through lessons, Scripture, interactive games, and activities in our Sunday classes. We include Faith Formation, Sacramental Preparation, and Religion readiness that is age-appropriate in each age grade level curriculum. We will train you to be a Catechist, Substitute Teacher, Classroom Aide, or an Office Volunteer. All you need to have is the love of Christ and the desire to help our youth. We welcome you to join our team of volunteers that prepare our children to know their faith, grow in faith, and to enjoy a lifelong relationship with God. The group campaigns and promotes respect for human life from conception until natural death through prayer, pastoral care and policy development. The ministry meets monthly. Most people "come to faith" on the "arm of a friend". Come and serve in the RCIA Ministry as a Sponsor, a Catechist, or another member of the RCIA team. The RCIA Ministry forms those who intend to enter the Catholic Church, for the first time, to journey towards initiation through Baptism, Confirmation, and the Eucharist. It also forms those who have been baptized in their Christian communities as well as Catholics who have not received all the Sacraments of Initiation. It will make a difference in your life, in your Catholic Community's faith life, and the lives of those on the RCIA journey. St. Jerome said, "Ignorance of the Scriptures is ignorance of Christ." It is therefore important that every Christian live in contact and in personal dialogue with the Word of God given to us in Sacred Scripture. We are a women's bible sharing group that meets on Tuesdays from 9-10:30 am in Room 6. We are currently starting a new series on Christian beliefs.